Home / Celebrities Gist / Exclusive: Upcoming Artist Opens Up How Ijoba Na Danku Ruined His Carrier!!! Exclusive: Upcoming Artist Opens Up How Ijoba Na Danku Ruined His Carrier!!! In an exclusive interview with an upcoming artiste Tunji whose stage name is Tiwizu, he narrated to Mimi's blog how Oritse Femi’s erstwhile manager, Adepitan Yusuf, fondly Known as Danku ruined his carrier. "My name is Tunji a.k.a tiwizu i'm an upcoming artist and i stay at Abule Egba, i knew Danku when he was working with Oritse Femi and we met at the Industry Night Lagos Spice Route where i approach him that i will like him to run promotions for me and i will also like to feature Oritse Femi so he gave me his phone number. We later hooked up at one hotel at Ikeja where he told me that he manages and works for Dbanj, Davido, 9ice, TerryG and so on. I was overwhelmed, in my mind i said "chai" i don blow my brother who no wan blow so i ran to my mumsy and i cried to her, she wanted to support me on the movement. But it was so sad we had to sell mumsy's land in ikorodu very close to the college of education. My mother had to do it for me because my father never supported music less alone taking it as a career; infact he didn't even want to hear about it. So my mother took the risk, sold the land, and gave the money to me and i took off immediately. I called "Danku" and he gave me another appointment at the same hotel where i met him the previous time and this time around he wasn't alone as he came with his P.A called "Forreal". Everything was looking good so i paid him 70% cash money for my promo and after that, he gradually stopped taking my calls. Anytime i call him it's either he doesn't pick or his P.A picks telling me how busy they are "The Bird Of The Same Feathers". At a time it got to a point that i was upset, i couldn't bear the pain anymore, we had tough conversation over the phone when i finally got to speak with him and he was threatening me with Afa, Juju, Thugs and everything he can "On Top Of My Money O". I have not been in good terms with my mother as i feel that i failed her all because of this "Danku" the industry mosquito sucking people's blood. I hope @rayceofficial and @oritsefemi has learnt their lessons and a very big one, also to ask questions and preferences before appointing a manager. 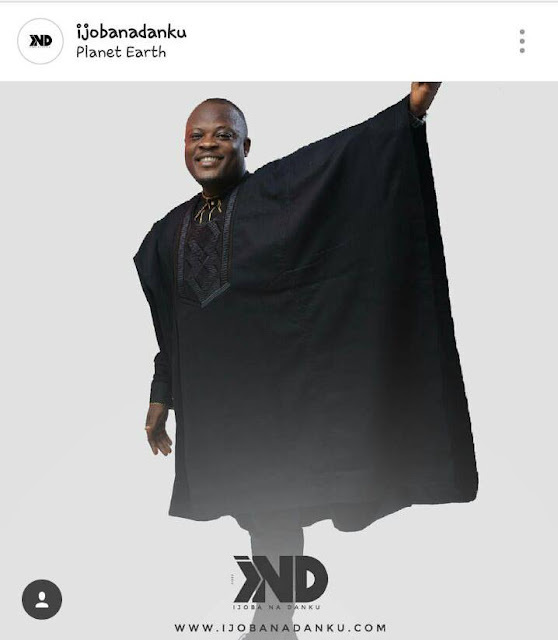 "Lolz" I heard he has opened "IND" as another management company after dragging "MSN" brutally with Oritse Femi for over a year plus showcasing unnecessary and irrelevant document. What a confused fellow i curse the day i met you in my life. Now he has created a copy paste website "Only God Knows What Is His Next Plan". My prayer and advise is for nobody to fall in this dubious Danku's trap again especially the upcoming artiste, Instead of him to tell us the reason why he was sacked by Jebon Records he is here busy giving "Rayce" more publicity. Anyway may God help you #IndustryMosquito my legal team will approach you very soon, watch out and see agbolo".